I’ve come to find that one of my favorite things to do on a Sunday morning is flip through Pinterest looking for amazing recipes to try for the upcoming week. Last Sunday, while I was perusing the site, I came across this gem recipe. My mom gave me an iron skillet back when I first moved into my house, and the only meal that has ever graced it’s iron face has been meatloaf. 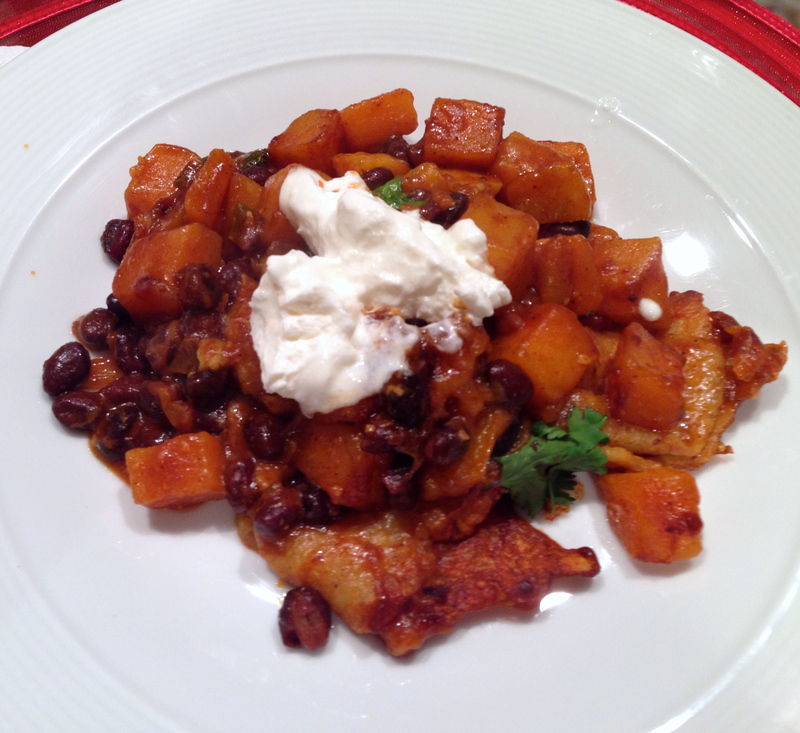 I figured it was time to change that- enter the Butternut Squash and Black Bean Enchilada Skillet recipe. (Originally found here). IT’S SPICY! Be prepared with a glass of water. Because it’s so hot outside, I don’t think we got the full effect of this dish. I’m guessing it’d be so much better when it’s cold outside and all you want is something to warm you up from the inside out. It was really, I mean really easy to throw together. 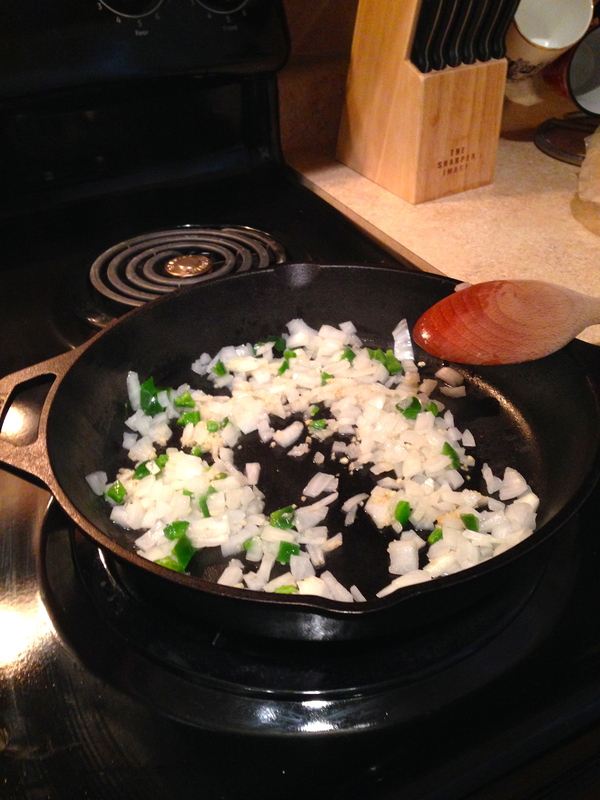 Sautéing onions, jalepeño, and garlic. 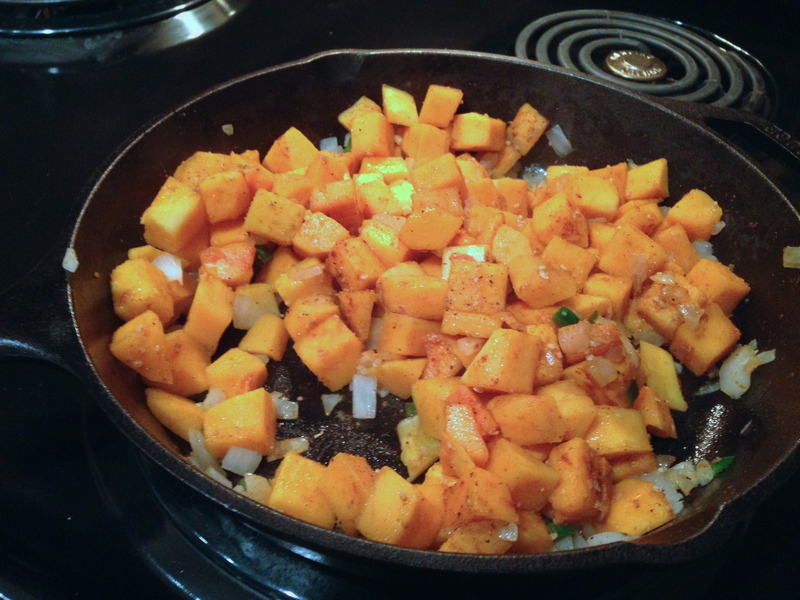 *Note: I bough pre-diced squash at the store instead of having to sit there and chop up a whole fresh one. It saved a lot of time and mess! 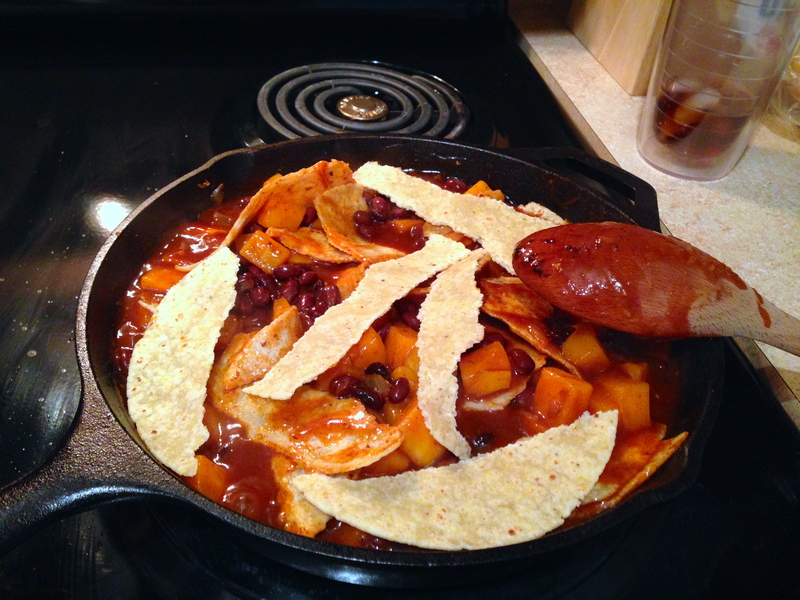 Adding tortilla strips, cheese, and black beans. The finished product after taking it out of the broiler. Add sour cream for the finishing touch. Plus, it helps cool down the dish a bit. It was more appetizing then my pictures lead you to believe. 😛 Trust me. 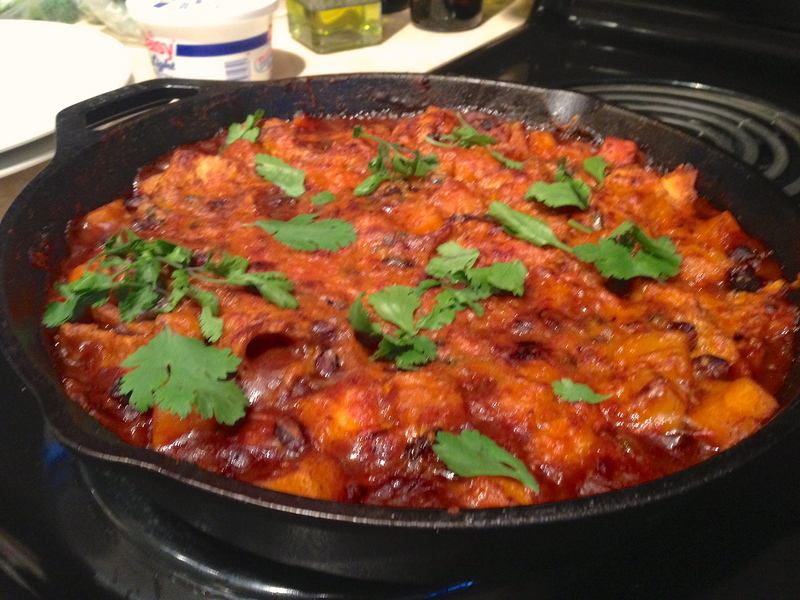 I’m really glad I tried this dish since it’s not typically something I would attempt to make. It’s hardy, it’s low-calorie, and it’s easy.